September 2018 Joel and I had an amazing trip out West where we met up with my family for an epic two weeks of exploring Southern Utah and Las Vegas. 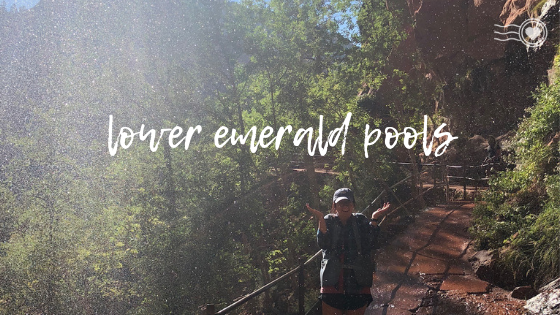 (read my tips for Vegas HERE, and read an overview of our whole trip HERE) Our favorite part of the trip was definitely our time spent in Utah exploring the deserts, hiking, ATVing, and soaking up the natural wonder-inducing beauty of Southern Utah’s parks. Zion National Park and Bryce Canyon National Park are relatively near to each other, making them fairly easy to fit in both on one trip. We stayed in Hurricane Utah, which is very close to Zion, so we spent the majority of our time there. Zion is HUGE and although usually very busy, there’s a reason for that. Zion truly is incredible and there is just so much to explore at this park. This was a fairly easy trail (I did it in a dress for our photos) Now that’s not to say it wasn’t a good workout, but I think, at your own pace, just about anyone can do this hike. Access this trail near the visitors center. We did this trail on a ranger-led hike so it took longer than it would’ve us alone, but we enjoyed the info we learned from the ranger. Tips for this trail: bring a snack for the top of this trail. Also a neat spot to wander around a bit and take photos before heading back down, so a small tripod of some sort would be useful too. This trail dead ends into two other trails that were closed during our visit. But this is an easy hike that takes you to two beautiful waterfalls. Just be careful, it does get slippery. Tips for this trail: if it’s hot during your visit, do this trail during the day. You can cool off while getting misted/splashed by the waterfall, and if I remember correctly a decent amount of this trail was shaded. distance: 1 mile (to the Narrows and back) *The map says that this trail is 2 miles, which I’m a little confused about because I’m 100% positive we clocked it as a .5 mile walk to the Narrows. 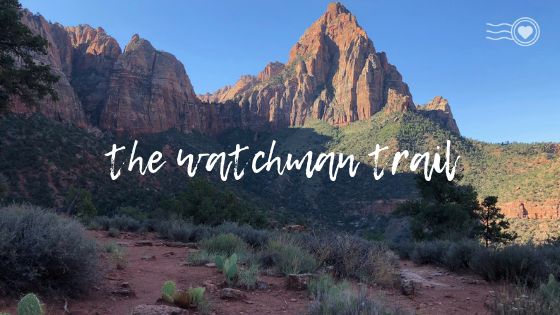 Tips for this trail: bring a snack and hang out where the trail meets the Virgin River where some hikers will continue on into “the Narrows.” Be prepared the share the path with other hikers. If I remember correctly, there were restrooms at the beginning of this trail. Don’t be intimidated by this trail!! My mom is NOT a seasoned hiker, she’s claustrophobic, and in general has fears/worries about many many things all the time. This hike scared her a little (mostly the thought of it) but once we were there and walking in the River, it turned out to be her favorite hike we went on. BE PREPARED to walk in water, at times which was past my knees. A lot of people had on water boots that I believe are rentable in the park. I wore my Chacos and my mom and step-dad wore their Keen sandals and while it was cold, we didn’t mind too much. Joel wore regular water shoes which probably wasn’t the best option but was acceptable.